Allow us to introduce you to wedding photographer, Thylane Bliss. Learn about her inspirations and discover her wonderfully artistic creations. 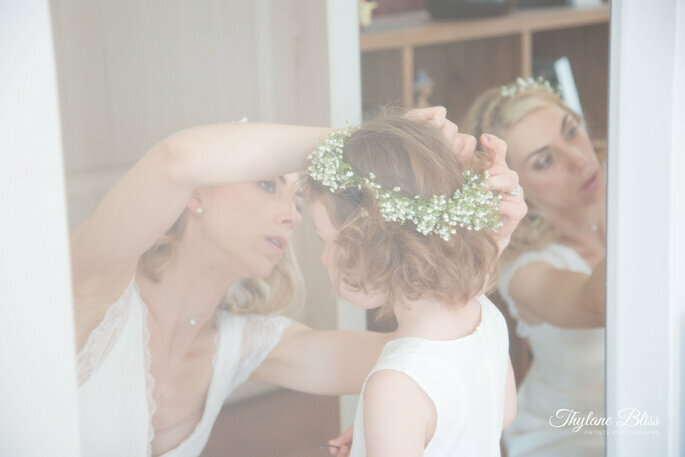 Having been passionate about photography since she was a little girl, Thylane Bliss has acquired unbeatable expertise throughout the years, which she uses to provide services to future brides and grooms in order to offer them incredible memories of their wedding day. Inspired by fashion and by the great stylists that she has rubbed shoulders with, the photogropher offers stunning photo-reportages which always contain an artistic and personal touch. Capturing the most beautiful moments of a wedding is the aim of every photographer, but Thylane goes even further and gives life to her shots. She gives them a soul and an individual authenticity. Discover this talented professional photographer right now! When and how did you get into wedding photography? It’s a passion that I’ve had for as long as I can remember, as my first words weren’t ‘mama’ or ‘dada’, but…photo! I worked with the camera just as much as I worked on Maths and I was fascinated by all of the buttons and controls. I thrive on images and portraits and I still never stop studying so that I don’t rely on the knowledge that I already have. I think that would be the beginning of the end for me! How would you describe your photography style? Do you have a particular technique or method? I work on instinct and I photograph with my heart. A photographer’s style is his signature. This is exactly the same for dressmakers and, with regards to fashion, I have had the chance to meet several stylists who have taught me a lot. I ensure that I stay attentive within the industry so that I remain close to the latest trends to give my photos a certain ‘stamp’. Which words best describe your work philisophy? Love of people, artistic, and sublimating the bride. These are the three things that best describe my work, in my opinion. Photos are a passion for me above all and I simply want to share this passion for image, for humans and for union, through my photographs. What’s your biggest source of inspiration? Life. I love to observe, to spot trends and to adapt my photos for each client. Each event is unique, and so I try to also make each client unique. What do you aim to get across through your photos? Each wedding is full of emotion and sincerity. And that’s what I want to get across with my photos, so that couples and guests can relive these magic moments easily, just by looking at their wedding photos. When the bride is getting ready because the tension rises bit by bit and there is a particular emotion that always develops. Her family and friends are there by her side and you can just feel that they are bursting with happiness and pride. These are purely human moments and this is the side that I like to capture through my photographs. Can you tell us a story or anecdote which stands out from your career? One day, a great photographer told me that I had a beautiful soul. I found it very poetic and it really touched me. Do you have any advice for future brides and grooms for successful wedding photos? Trust your photographer and just let go, relax and enjoy your day to the full. The more natural the couple is, the better the photos are. What happens the first time you meet a couple? With a lot of empathy, attentiveness and sensibility concerning their expectations, I need to speak to them either over the phone or to meet them. Couples must trust me. As far as I’m concerned, a photo session must be marked with serenity, with agreement and with a quiet confidence. What differentiates you from other wedding photographers? My work comes instinctively, I question myself everyday, I only listen to my heart and I move forwards. 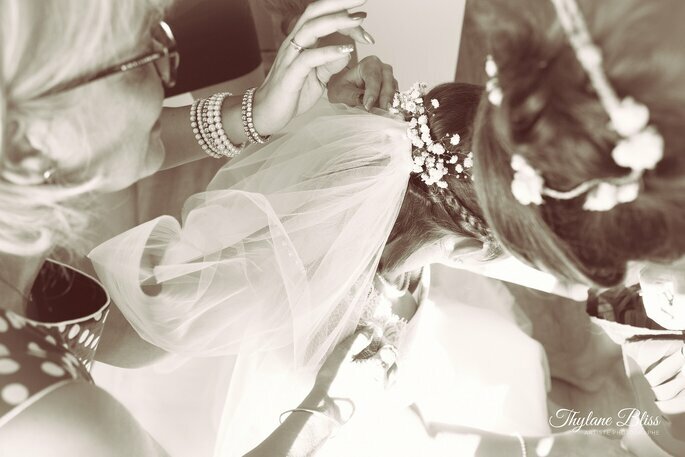 Keep the unforgettable memories of your big day thanks to the professional photographer, Thylane Bliss. In France, the UK or elsewhere, don’t hesitate to call upon her artistic talent. 5 Reasons You Should Have an Engagement Shoot: Expert Photographer Emma-Jane Lewis Will Inspire You! Wedding and fashion photographer Emma Jane today talks to us about why engagement shoots - an up-and-coming trend - are so important for couples before they get married. Learn more from the expert today and read about why you should definitely consider this as an option! A Very Special Styled Shoot in Southern Holland: Spot the Differences! This Styled Shoot is one you don't want to miss! Seven photographers join forces together for one fantastic shoot in the Nertherlands - discover it today! With over 150 photographers in our online directory, it was a tough call, but click here to discover our choice of the top 10 photographers in the UK for 2018! It's been a fantastic year for photography, and we are sure that you will find the perfect person for you within this ranking. 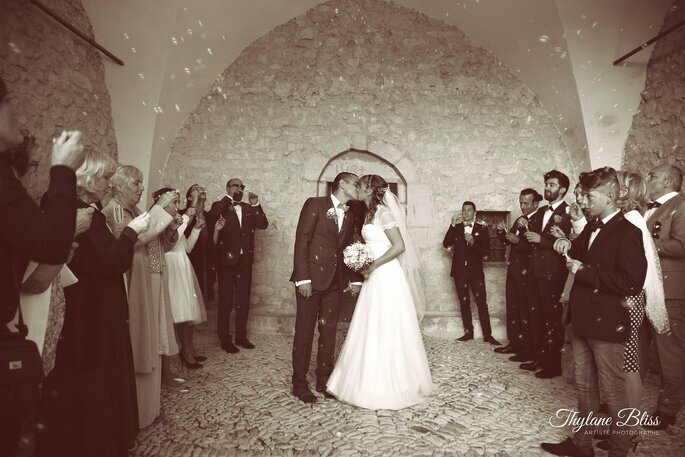 Artistic and Timeless: Why Choose Black and White Wedding Photography? We're very used to seeing the world in colour, so a black and white wedding album will be more eye-catching. It's different from reality, because it's art. To help you plan the destination weddings of dreams without any fuss, we've narrowed a list down to our four favourite wedding photographers in Portugal. Make your wedding day extra special by hiring a videographer who will produce a stunning short film of your wedding day, to be shared amongst friends and family, and used to remember a truly special day. Check out our recommendations for the best videographers in and around Birmingham. Let one of these talented photographers capture your gorgeous wedding in the South West. Simply choose the photographer who's style perfectly matches yours.